Today s Christianity is broken and ineffective as seen by the fact that generations of people don t want anything to do with the Jesus they see in Christians. The reality is that a Christian worldview simply doesn t work in the real everyday world in which they live. Jesus, however, not only came to give people eternal life, but also to radically change and give them life today How this happens was the question posed by the author, who had a personal challenge that was destroying his family and his career as a pastor. The Christian solutions were not working forcing him to ask, Jesus, outside of a miracle, how do You change a life The answer he discovered was the SET FREE NOWWW principles, the basis of a Biblical worldview. When believers in Jesus meet their needs in their own or society s way, follow unbiblical ways of processing daily life, or rely upon Christian clich s they ll experience disappointment, disillusionment and disaster. Processing daily life through a Biblical worldview will change their life from the inside out bringing with it peace, love, significance, and security each day, not just on Sunday. More Than a Sunday Faith is not more whats, but the how to s of living with a Biblical worldview. It is not a book just to be read, but principles to be lived each day. 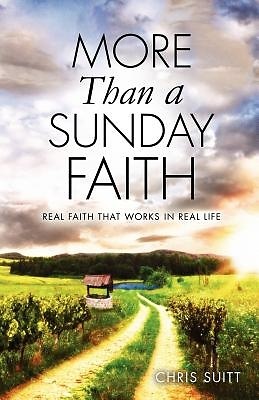 The author gives a number of practical tools to have and practice real faith throughout the week. As this happens, not only will Christians experience the life Jesus offers, but the generations who don t want anything to do with Him just might want the Jesus they see in them.